I'm a high end beauty snob💄who has a love for all things green 💚. My website www.justinasgems.com 💎 shares my love of all things easy beauty, healthy living 🌎, and working from home 🏠. Join my journey to a better lifestyle. Hypoallergenic, cruelty-free, vegan, sustainably sourced and packaged with recycled materials. For $18, we’ll send you three 2mL bottles—a month’s worth of fragrance. (Shipping, as always, is free.) Bonus: You have 30 days to put that $18 toward the price of a full 50mL bottle. 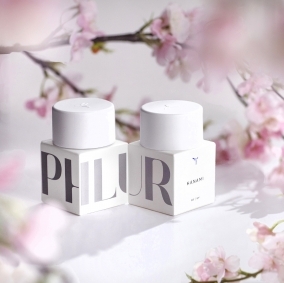 Hanami is subtle, warm and makes an amazing signature scent; Améline is feminine, chic and classic; Sandara is calming, pure and sensual. If you try these three in your sample set, you'll fall in love. Maybe you already know what you like. Take a look around, find the words and images that speak to you, then treat yourself to six months’ worth of the good stuff. Parabens, phthalates, BHT, endocrine disruptors, sulfates, artificial colors, phenoxyethanol and nitro musks. Good scents, perfected by world-class perfumers who care. Crafted with clean, high-quality ingredients that won’t harm your skin or the planet. (We publish our ingredients list online, a rarity in our industry.) All in the name of fun. Isn’t that what it’s all about? 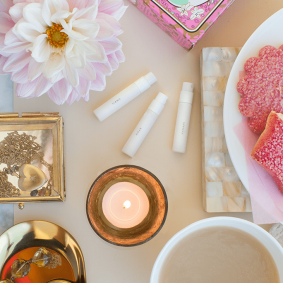 I'm obsessed with these non-toxic fragrances that are beautiful and complex. I've ditched my previous perfume collection in favor of these healthier options. These clean beauty scents smell so unique and lovely, you might want them ALL. Pick up a sample set and shop my favorites below to see what the buzz is about! Our wash is Engineered for even the most sensitive of skin, powered by plants and our clean scents. Our lotion hydrates, softens, brightens and tones your skin with a zero-residue formula that’s just right. 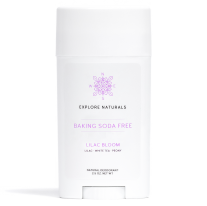 Last year we launched a new brand called Explore Naturals and they don’t just smell good—they are seriously the most effective natural deodorant anyone on our team has ever used. "I fell in love with the scent: crackling leather and ambiguously warm. I hate reeking of perfume, and Hepcat pairs subtlety (only people close enough to you will smell it) with long wearing power beautifully (I swear it lasts all day regardless the weather)." "The fragrances rock. Even the attention to detail with the packing made it feel so special, I actually felt like a kid getting a present in the mail. Seriously though, I struggle to find scents that don’t smell like cliche perfume. They all end up smelling the same on me and they all give me a miserable headache. Not these." "Sandara is the scent I have been searching for. There has never been a scent that really feels like "me" but that all changed when this beautiful bottle came into my life. It helps me start off the day feeling grounded and ready to take on the world. Absolutely magical." Your health is of the utmost importance to us. So we deliberately exclude all potentially harmful ingredients (like unnecessary additives) and minimize skin irritants. And because, like you, we care about our planet, we coordinate with the IUCN (the world’s leading authority on endangered species) to ensure all our ingredients are responsibly sourced. Maybe you can’t decide, or don’t see what you’re looking for. That’s okay—we’re here to help. Our team of Scent Concierges is always happy to make a recommendation just for you.